Mouse anti Diptheria toxin antibody, clone 8G1 recognises diphtheria toxin (DT), secreted by certain strains of Corynebacterium diphtheriae. DT catalyzes the ADP-ribosylation of eukaryotic aminoacyl-transferase II (EF-2) using NAD as a substrate. This reaction forms the basis for its toxicity toward eukaryotic organisms. The toxin is secreted as a single polypeptide chain of about 63 kDa, it is then processed to form A and B fragments both of which appear to be required for toxicity.  Mouse anti Diptheria toxin antibody, clone 8G1 (3710-0100) is specific for the intact toxin/toxoid and does not react with free A or B subunits.